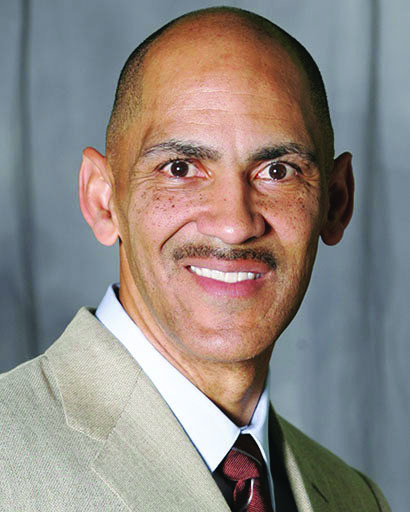 On March 28, American football player and coach Tony Dungy will visit Harding as the last of the 2018-19 American Studies Institute (ASI) Distinguished Lecture Series. Dungy started his career in football as a player for the Pittsburgh Steelers, and then he coached the Tampa Bay Buccaneers from 1996 to 2001. In 2007, as head coach of the Indianapolis Colts, Dungy was the first African American coach to win a Super Bowl and was head coach until he retired in 2008. He was inducted into the Pro Football Hall of Fame in 2016. Dungy, who is open about his Christianity in many aspects of his life, has also written several faith-based books. “The main thing I want my guys to see [is] that to win at a high level, you don’t have to sacrifice your character and morals in the process,” Simmons said. Simmons said Dungy is an example that if people do things the right way and put themselves last, those actions pay off in the long run. Junior Dylan Hendricks, inside linebacker for the Bisons, grew up watching Dungy coach. He was impressed that ASI got a speaker with such accolades to come to Harding. As Student President of ASI, senior Olivia Womack is looking forward to welcoming new audiences to the university for the event. Dungy was hired as a football analyst by NBC in 2009 and has been there since. This free event will be in the Benson Auditorium on March 28 at 7:30 p.m. For more information, call 501-279-4497 or visit www.harding.edu/asi.